It’s Friday! Oh how I’ve missed you Friday. You ring in the weekend and deliver unto me exciting new Kickstarter campaigns to share with our fans. Here’s to our favorite projects of the week! After the escapades of 10 Minute Heist: The Wizard’s Tower, the head of the thieves has been arrested. 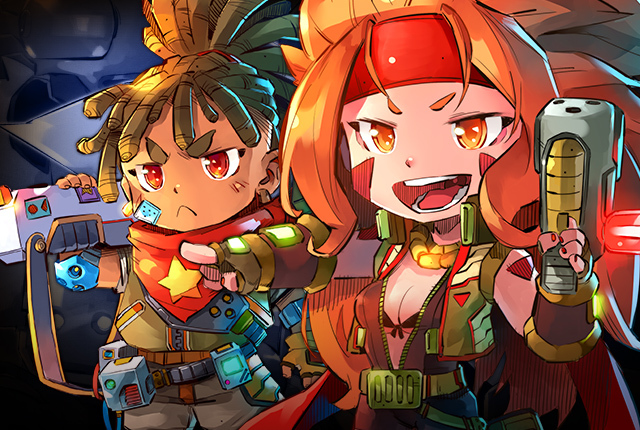 Now its up to the master thieves to earn prestige and figure out who will become the next boss! 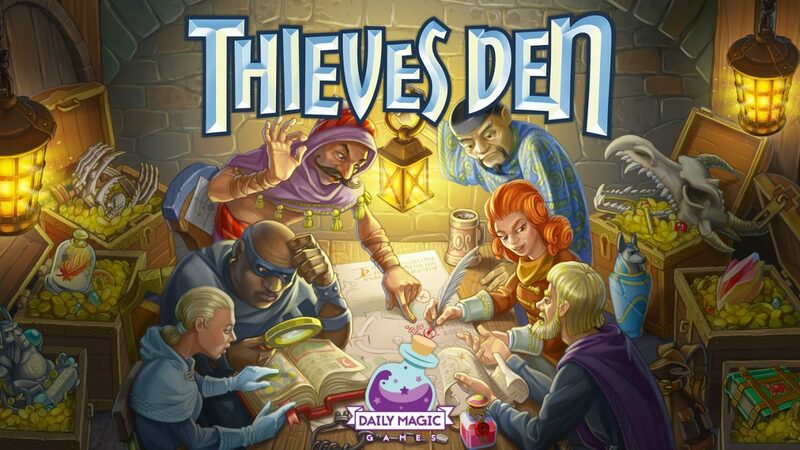 Designed by Alice Davis and illustrated by Denis Martynets Thieves Den is a card-drafting/worker-placement game where you’ll be casing locations, thieving some treasures, and fencing your ill-gotten gains to fences for prestige points. 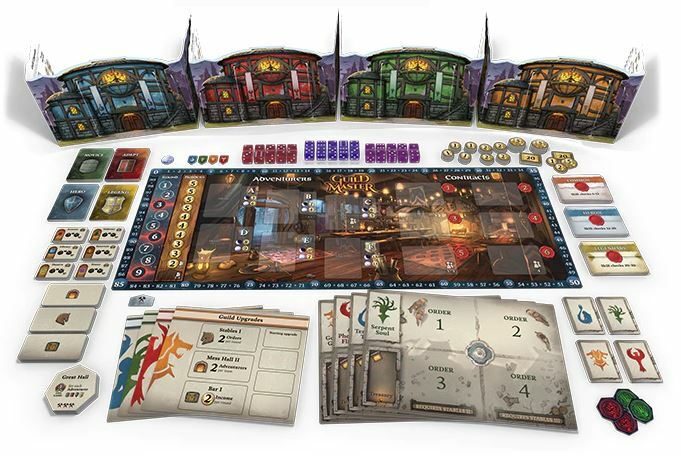 The game has a really neat mechanic where your thieves can visit other players locations to gain some loot, but then they move to your opponents control, so you end up with a shifting pool of workers.Thieves Den looks like it will be a nice continuation to the story of Amarynth which 10 Minute Heist: The Wizard’s Tower was set in. You can check out the Kickstarter campaign here! Starcadia Quest is another game that continues a series. 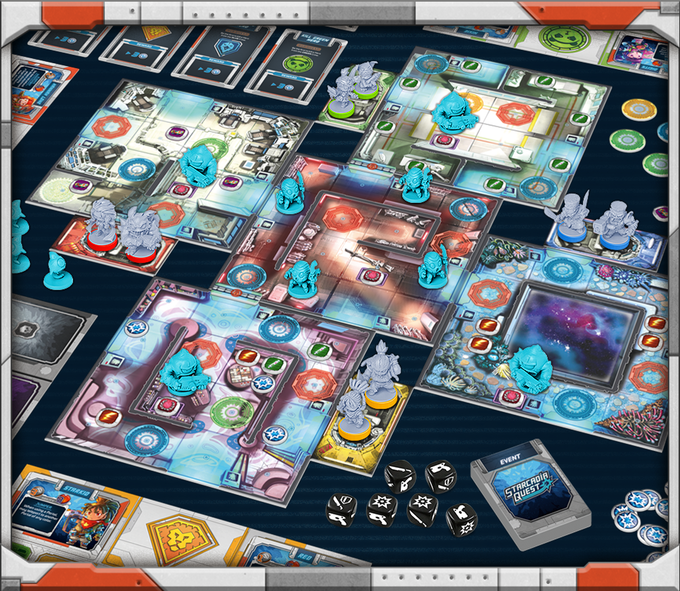 Here we have the sci-fi version of Arcadia Quest, a campaign-based dungeon-crawler. In Starcadia Quest you and your fellow players are leading teams from the Starcadian Alliance and must fight the alien monsters as well as each other. CMON loves their minis and this game is packed full of delightfully chibi warriors and monsters. Through the campaign you can also pick up extra figures to add more variety to your team-members. Take a peek at Starcadia Quest on Kickstarter here! Looking for a great gift for any gamer or just want something neat to read? 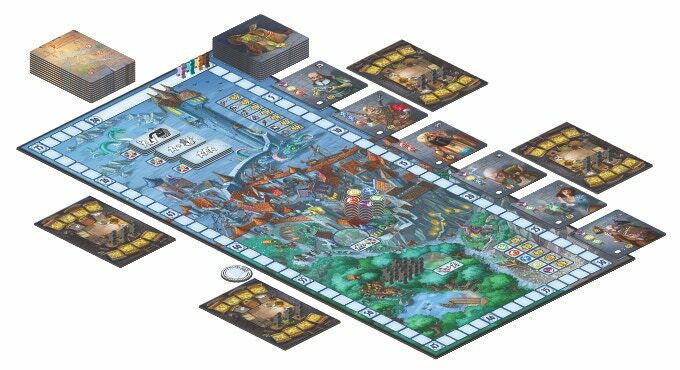 Erin Dean has collected up interviews about the rise of board games with some amazing designers. Each chapter is dedicated to a different designer; talking about how they got into the hobby, their inspiration for their games, and so on. You’ll find interviews with Matt Leacock, Jamey Stegmaier, Bruno Cathala, Richard Garfield, Carla Kopp, Reiner Knizia, and many more. The book is expected to be out in December so this might just make a great Christmas gift. 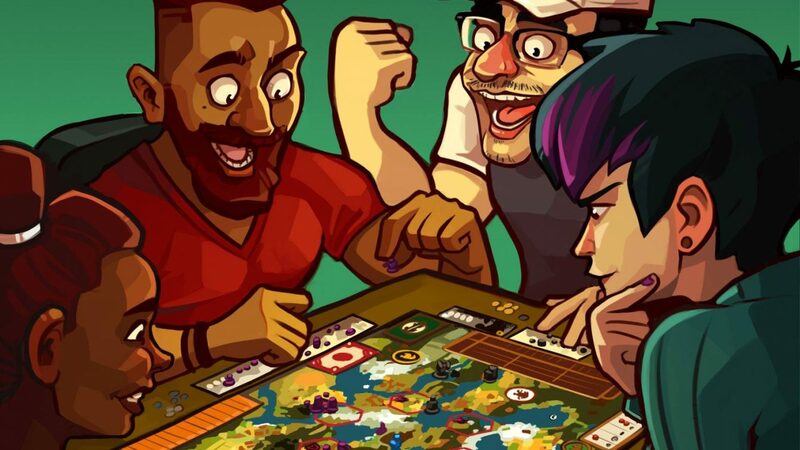 Peruse the For the Love of Board Games Kickstarter here! Why should adventurers have all the fun? 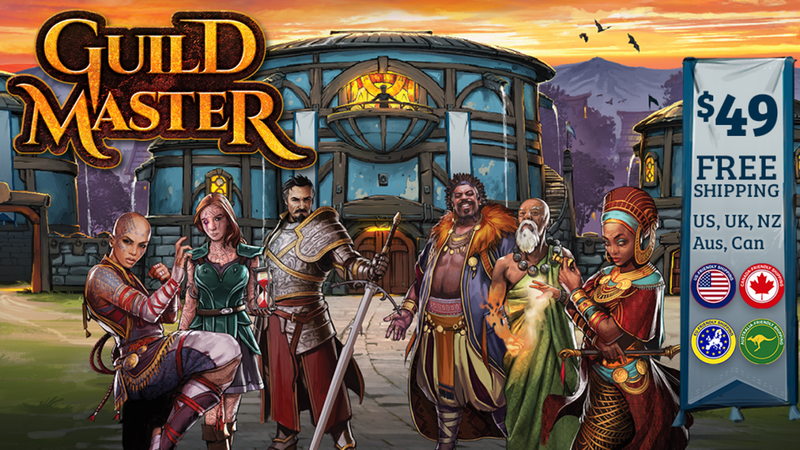 In Guild Master you play the head of a guild; hiring adventurers, doling out missions, and upgrading your guildhall, all in the name of earning fame. Every player will be competing to fulfill contacts to gain coin, fame and other rewards. By hiring the right team and programming your actions out strategically, you can earn the most fame and win the game! Visit the Guild Master Kickstarter campaign to learn more! Unicorns. They’re adorable, magical, and extremely violent. Unstable Unicorns: Control & Chaos are new base games for Unstable Unicorns; a game where you build up a unicorn army and destroy your opponents with glitter and vengeance. Unstable Unicorns: Control & Chaos adds some new mechanics that will allow you to protect your unicorns and manipulate your deck or kill with impunity and raise those unicorns from the dead. There are also new instant cards and Ultimate Unicorns with extra special powers! 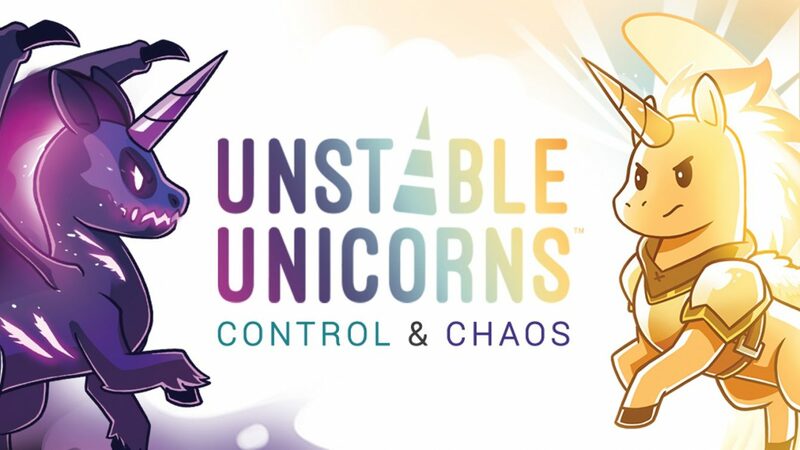 Unstable Unicorns: Control & Chaos will be exclusive to Kickstarter, so the only way you can get your hands on these decks is to pledge to the campaign. My addiction to cute things makes we want this game and my love of destruction only adds fuel to the fire. Catch yourself some magical unicorns by backing the Unstable Unicorns: Control & Chaos Kickstarter here! Which Kickstarters will you be backing this week? Let us know in the comments below! Previous Post:New Meeply Stuff in Our Store!